Future Talent is a professional technology service provider, we deliver practical and sustainable financial and technology solutions. Focused on people and technology in financial services institutions, our services supply IP retention, succession planning to drive project delivery and sustainability. Future Talent reduces the risk of on-boarding people in today’s transformation world, by providing quality and competent consultants. By bringing transformation to businesses, our Futureneurs are selected for attitude, trained for skill in various technologies, appropriate to client needs. 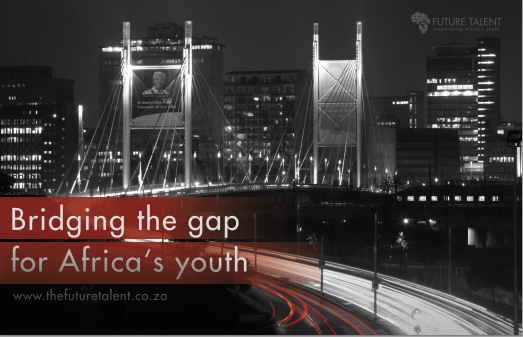 We at Future Talent, believe in empowering young Africans, to drive transformation that is crucial to the success of businesses. A professional technology service provider, driven to empower Africa’s youth.